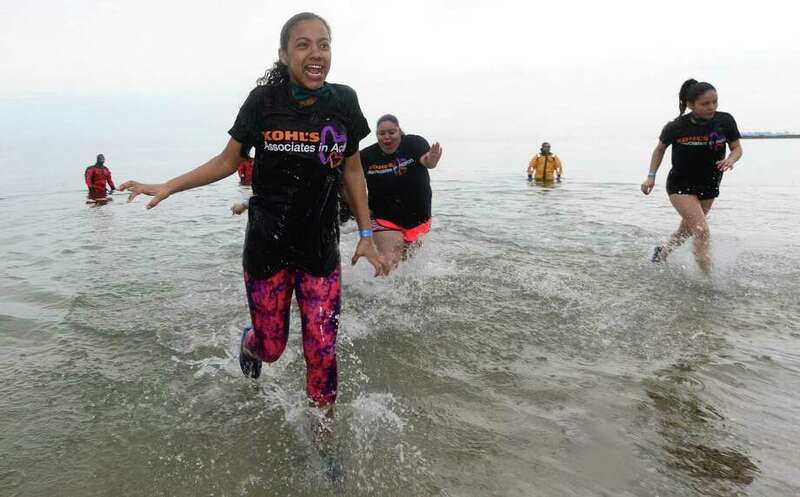 Yani Cardoza of the Bridgeport Kohl's exits the water at the Special Olympics Connecticut Penguin Plunge March 25 at Compo Beach in Westport. WESTPORT — Locals plunged into the water at Compo Beach on March 25 to raise money for Special Olympics Connecticut. The Special Olympics Connecticut Penguin Plunge is the largest grassroots fundraiser which supports over 13,000 athletes and unified partners who participate in Special Olympics Connecticut’s year-round training and competition in 27 sports.